A bright smile that lasts a lifetime requires diligent oral hygiene overseen by regular visits to the dentist . This is especially true as you get older and your oral health needs change. As you age, you are more at risk for gum disease and tooth decay, which means that you will have to make some adjustments to your oral care routine. Here are a few ways that you’re oral hygiene needs may change as you get older. Most adults go to the dentist once a year. However, the American Dental Association actually recommends that you visit the dentist every six months. 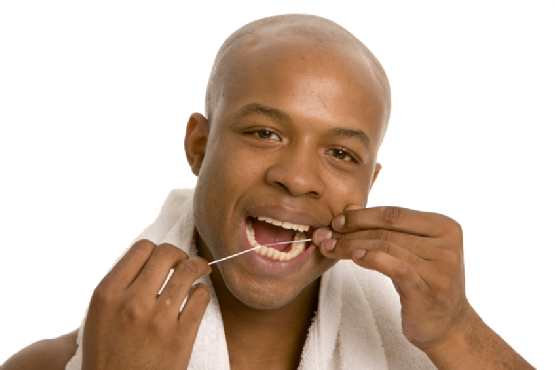 Adults need to do this so that their dentist can inspect for signs of tooth decay, gum disease, and oral cancer. These disorders feature symptoms that you might not recognize yourself, but your dentist knows exactly what to look for. Besides, an additional cleaning each year is only going to help you maintain your bright and beautiful smile. According to the Centers for Disease Control and Prevention (CDC), over 25 percent of Americans over the age 60 are toothless. The top reason for this is decreased oral hygiene over time. You must brush at least twice daily, and preferably after each meal to prevent the plaque deposits that eat away at your teeth. Flossing shouldn’t be considered optional either. Plaque and bacteria thrive between your teeth where a brush can’t reach. If you are having difficulty brushing due to arthritis or other restrictive conditions, speak with your dentist about other solutions. In addition to avoiding sugary snacks and meals, you will need to stay away from excessive alcohol use. Combined with cigarettes, alcohol can lead to oral cancer. Drinking fluoride water will help protect against tooth decay. If you stick to healthy foods like fruits and vegetables, your teeth will stay healthy and strong. Park 56 Dental can help keep your smile bright for a lifetime. Call us at (212) 826-2322 to learn why we are the top cosmetic dentists in New York City. Visit our website to learn more about full range of dental services. February 15, 2013: PLEASE NOTE: TELEPHONE OUTAGES HAVE BEEN REPORTED IN OUR AREA. IF YOU ARE HAVING TROUBLE REACHING US, PLEASE TRY OUR ALTERNATE NUMBERS: 212.826.1811 AND AFTER HOURS: 917.566.9419 OR YOU MAY E-MAIL Jennifer, Practice Director: jjvitulli@aol.com . We apologize for any inconvenience. Soreness or swelling inside the mouth can be indicative of a dental emergency. WebMD gives more information about this symptom and possible causes. Invisalign is a good alternative for adults who don’t want traditional metal braces. Find out if Invisalign could be right for you by taking this online assessment quiz. There are actually health benefits to smiling ! When you choose cosmetic dental treatments, you’ll have even more reasons to show off your pearly whites. Certain foods can stain teeth easily , especially if your smile has recently been whitened. Read about 12 such foods in this slideshow from EverydayHealth.com. One of the most hotly debated topics in dentistry is the effect that chewing gum has on teeth. Read The American Dental Association ’s take on this debate on their website. For more information on how to properly take care of your teeth, contact Park 56 Dental of NYC at (212) 826-2322 or visit us on the web . If you are looking for comprehensive dental care in a welcoming environment, be sure to contact us today! If you lose an adult tooth, time is of the essence. If the tooth is to survive and be successfully restored, it will need to be examined by a dentist, preferably within 30 minutes of its loss. Before you pick up the phone to call your dentist, preserve your tooth by gently rinsing—not rubbing—it with cold milk, your saliva, or water. Then, re-implant the tooth in the gum’s open space and hold it there with your fingers or by biting down. Doing this correctly provides the best chance that your dentist will be able to re-implant the tooth permanently; however, do not force the tooth. Sudden, unexplained swelling inside the mouth is potentially the most serious dental emergency, given that it can be indicative of anything from a simple infection to a cancerous tumor. If swelling worsens over a day or two or is accompanied by pain, fever, or breathing problems, seek emergency help. If your dentist is not available, you may seek care from the nearest hospital emergency room. The jaw is the tenth most-broken bone in the body, and fractures should be taken very seriously. 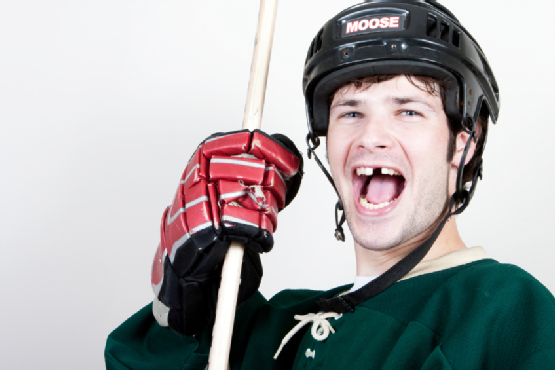 Not only can a broken jawbone knock teeth out of alignment, but also cause serious damage to the inside of your mouth. Your jawbone also supports your tongue; without this support, your tongue can block your airway and make breathing difficult. Before arriving at the dentist’s office, you may try to immobilize the jaw by gently aligning your teeth and tying a necktie or scarf under your chin and over the top of your head. At Park 56 Dental of NYC , we know that you can never predict when a dental emergency will occur. That’s why our office is staffed after-hours with an on-call emergency care technician. Contact us at (212) 826-2322 for more information, and ask about our cosmetic dental work as well!